Escape The Rat-Race Before You Retire! Do You Have A Rescue Team? You never know when you might find yourself in a crevasse! 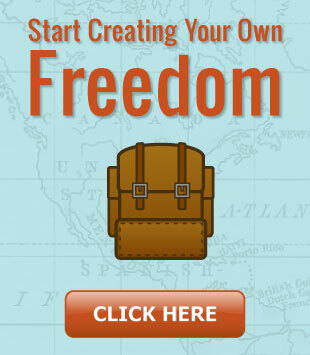 When you travel your route to freedom, sometimes things can go wrong. Knowing that in advance, you can prepare for the bad times by creating a “Rescue Team” that can respond to your call for help in times of need. I’ve been part of a rescue team that responded to a most unusual call for help. 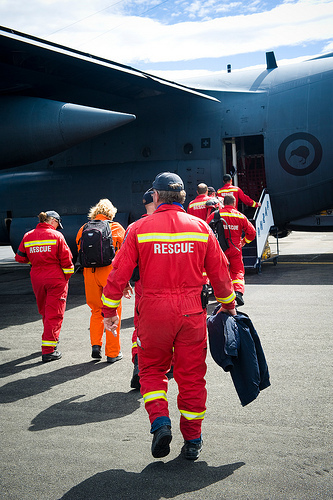 When I was in Antarctica, I was a Search And Rescue Medical Technician. One day we got a call for a tractor that had fallen into a crevasse. At the time of the call we didn’t know much about the accident but we figured that it would involve at least a few injuries and possibly one or more casualties. We took off prepared as best we could yet were not ready for what we would find. After a short flight from McMurdo Base we came across a very unusual sight. In the middle of a field of crevasses that were covered by thin snow-bridges was a 12 foot square trailer teetering half out of a crevasse. The big Caterpillar tractor that was towing it was no where to be seen. The most unsettling thing about this scene was that the trailer was stacked with high-explosives used for seismic surveys. It was so unstable that it was not suitable for transport by airplane. This is why it was placed onto trailers with skis and towed behind tractors on multi-day trips to the outlying locations where the geologic surveys were being done. Apparently the route across the glaciers that had been taken many times before had broken into a field of 10 to 20 foot wide crevasses. These had been covered over by blowing snow that slowly creates a superficial cap over the expanse called a snow bridge. From the surface it can be nearly impossible to see a snow bridge when you are coming up on it. Many an Antarctic explorer have actually stepped into a crevasse because it was covered this way. From the air though, we could see the network of crevasses that had splintered the area. As we circled, the high-angle rescue team planned a suitable landing location and a path from that location to the tractor. Upon landing only the high-angle rescue team was allowed to exit the helicopter for fear that someone else would accidentally step into a crevasse. As a Search And Rescue Medical Technician I remained with the helicopter waiting for any injured personnel to be brought back to me. About ten minutes later the high-angle rescue team walked back to the helicopter with two civilans who were pretty jovial considering the circumstances. The rescue team laughingly said that when the poked their heads over the edge of the crevasse they found the two men in the tractor standing on the dashboard, sipping coffee and snapping pictures with their small camera. It turns out that the tractor fell into the crevasse and stopped just below the surface of the glacier. Wedged into the ice there was no where for it to go. But there was no easy way for the crew to safely get out of the tractor. So, the simply radioed the main base and waited to be rescued. And rescued they were, without any injuries, in just a matter of hours. The next day, another tractor went out to the site and recovered all of the explosives and the trailer. Unfortunately the tractor was unrecoverable. It started a slow march towards the bottom of the crevasse. If you ever get to watch the Imax movie Antarctica, that tractor makes a cameo appearance. When the movie discusses the dangers of crevasses, they show a person that is roped up to his fellow explorers that falls through a snow bridge and into a crevasse. Right after this scene, they show a quick shot of a tractor that is nose down in a crevasse. Now you know the story of how that tractor got there and how it narrowly escaped being blown up in the process! Take action now, before you need your rescue team. Figure out what are the top three ways that you might get into trouble and need help. It could be with motivation, keeping focus, overcoming fear, making financial decisions, or something else entirely. You need to figure out where you are most likely to need help. Then find those that are close to you that would agree to be on your “Rescue Team”. Make sure you clearly communicate why you are setting up this team, what your expectations are from the team, and what the team can expect from you. This should be a win-win scenario so find out how you can add value to those on your team. Maybe you can reciprocate and be a member of their Rescue Team. So, when you are traveling on your route to freedom, understand that things can go wrong. At the time it may seem that things are horribly wrong. When that happens, do not let fear take over, take a deep breath, put a call out to your rescue team. Then get out your thermos of coffee and your camera and enjoy the experience. If you are planning in getting a towing company check this out. 3 Responses to Do You Have A Rescue Team? Having that objective support or rescue team is so important! When we’re panicking or wallowing in our own fear and anxiety, it means the world to have someone we trust to talk to and bring us to a more positive place from which we can take positive action. © 2019 Route To Freedom. All Rights Reserved.